Some say behind every successful man is a woman. In the case of Lyndon Neri and Rosanna Hu, however, the chemistry between a couple working in tandem has injected kinetic energy into the global architecture scene. The husband-and-wife team, founding partners of the acclaimed Neri & Hu Design and Research Office, has been reaping accolades left and right. So far the roll call of gongs include the Maison & Objet Asia Designer of the Year 2015 award and a spot in the United States Interior Design Hall of Fame. Despite their growing reputation for pushing the boundaries of traditional architecture, the couple put their success down to one fundamental tool: research. Neri & Hu’s Shanghai-based practice, which offers interdisciplinary architecture, interior, master planning, graphic and product design services, is driven by scrutinising and understanding the vernacular topography of a property and challenging its components to break away from the norm. One example of the duo’s unconventional approach to design is the Lee and Chew Residence in Shanghai. Completed in 2012, the 900-sqm home displays contemporary minimalism that remains personal and intimate. The courtyard, characterised by circular stone patterns, provides a contrast to the straight lines of the house and the mostly flat topography of Shanghai. Outside, the main focal point is the pool – a nod to the city’s numerous lakes. The communal outdoor spaces can be observed from indoors through wide glass doors and windows, keeping the home transparent, yet maintaining its privacy. 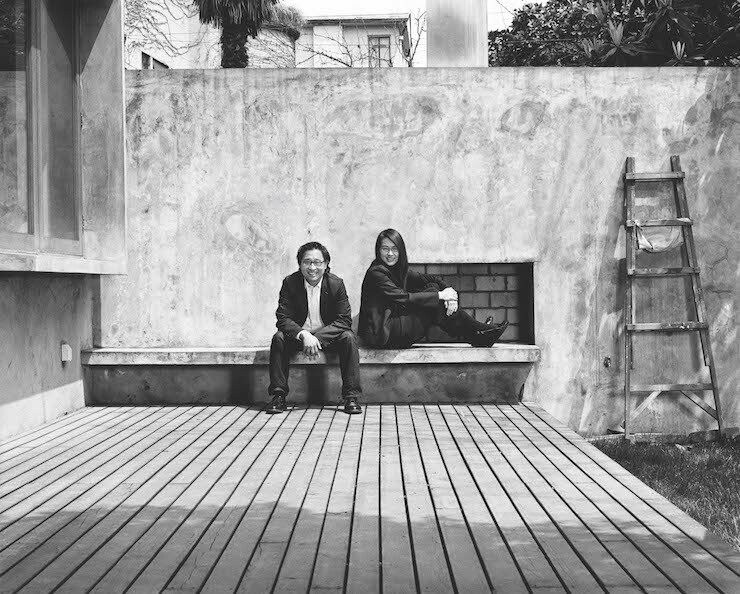 A combined drive to create something purposeful in design was one of the main reasons why Neri & Hu decided to establish their practice in Shanghai back in 2004. They also wanted to reconnect with their Chinese roots. There they saw lots of opportunities for innovation. Having met as undergraduate students at the University of California in Berkeley, they knew each other’s capabilities and goals well, which is a large part of why they work so well together. With a range of approving international clients from the Far East to London and New York, Neri & Hu have achieved global reach for their aims. And with their philosophy of creating long-lasting, research-driven architectural concepts without following trends they have given lie to the idea that “made in China” is a label to be wary of.